Scheduled to be in effect May 25, 2018, the General Data Protection Regulation (GDPR) has struck fear into compliance officers around the world. A new statistic from Forrester adds further alarm: 80% of firms will not fully comply with GDPR by May 2018. Much confusion surrounds this new regulation as organizations everywhere work to understand the new requirements and adjust their business processes accordingly. All webinar registrants will receive a free copy of the companion whitepaper, GDPR Compliance: Your Guide to Saving 4% of Revenue. It recaps key points from the webinar and provides additional details on GDPR and its impacts on businesses outside of the EU. We’ll email your copy the day after the webinar — register today to receive this exclusive content. 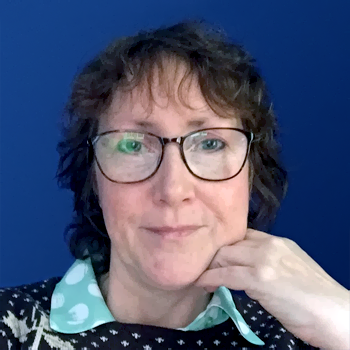 Susan has worked in the IT security sector since the early 90s, providing research and consulting across diverse areas including encryption, digital rights management, digital signing, privacy and online identity. She has been involved in security projects addressing government, enterprise and consumer needs and has helped design and commercialize award-winning security software solutions used by organizations of all sizes worldwide. She has patents pending for security software related inventions and has published a number of papers in the data security area. Currently, Susan works as Head of R&D at Avoco Secure who are specialists in online identity. Her mantra is that security is about human beings as much as it is about technology. © 2017 InfoSec Institute, Inc. All rights reserved.